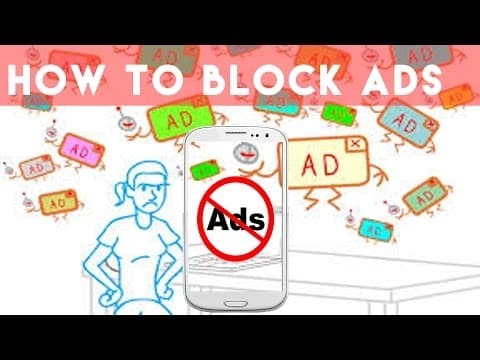 We will teach you to block ads in android apps. You are enjoying your favorite video on YouTube and suddenly an ad appear and disturb you, isn’t it annoying? It has become most common problem for all the YouTube viewers. They can’t be removed completely but here we are sharing few tricks to get rid of those irritating videos. We hope they will be helpful for you and you can enjoy ad free video on YouTube without any disturbance. It is one of the best ways to get rid of skippable ads and non-skippable ads. One can get it directly by using source that is XDA Labs app. 1. Install the app Search for the keyword ‘Cygery AdSkip for YouTube’ ( LINK ) on the XDA lab’s tab. You will get the top result and by simply pressing download button you can download the app. After the download, you will get android’s installer interface and you can simply install. Then open the app after installation is completed. 2. Enable options This is next step you should go through after the installation. You have to enable various services like accessibility and Adjust options in it. Then you will get prompt massage to set general options, Press ‘ok’ on this massage and go to the option ‘Cygery AdSkip Service’ where you can enable the services with the help of toggle switch. Once you finished with the settings don’t forget to tap the option ‘Enabled’. You can also disable the option “Mute audio during ad” if you want which may result in little delay in ads detection. 3. Enjoy ads free YouTube Video Now, you can enjoy complete ads free video on YouTube. Whenever any ad will appear in it, ‘Cygery AdSkip’ will automatically press the Skip button and the ads will be disappeared. If you have chosen the option of “Mute audio”, then you will not even hear voice of the video also. Use YouTube Red YouTube Red is another excellent service to skip the ads from YouTube. From 2017 is has becomes only legitimate way to skip ads from videos on android. Though it is a paid subscription to YouTube it also works as an ads skipper. It is a paid service but you can enjoy first month trial completely free. 1. Get YouTube Red Go to YouTube app in your android. Tap the profile option on the right corner of the page there you will get menu window when you will sign in with your Google email address and password. There you will find the option of YouTube Red in the list. Press the blue button in the right side of the screen to get the app free for one month. 3. 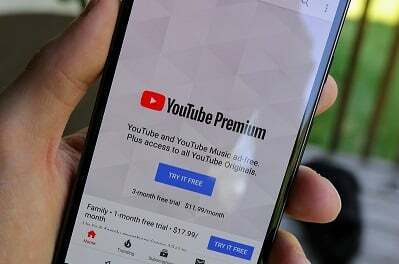 Buy YouTube Red Once your password and payment details get verified you can get a free trial of the application from the option of the ‘Buy’ at the bottom of the screen. After free trial months over you will be liable to pay charges of $9.99 until you cancel the service. 4. Enjoy ad-free videos Now you can enjoy YouTube videos without any disturbance of the ads. • Install dns66 android It is very useful and effective technique to skip the ad whiles you enjoying the video on the YouTube. The best thing about it is that it’s completely free. 1. Install the App To install this app your android device must allow the installation from the unknown sources. If it is not you can make it by simple settings using these steps ‘Settings’-‘Security’-‘Installation from the unknown source’-‘On’ After these settings you can install the app ‘DNS 66’ which is helpful to block the ads without affecting battery level of your device. 2. Configuration of the App This application doesn’t block the ads by default you have to make a configuration of it. The first step will be turning off the iPv6 toggle. 3. Launch YouTube with DNS 66 Now you can watch YouTube without any ads and if you wish to watch the ad, then simply click on ‘Start’ button in DNS 66 App. 1. Enable HTTPS filtering First step will be to making Adguard settings by enabling HTTPS filtering which is an important step to the decryption of the data sent to the YouTube by the server. Further, step will be to install Adguard certificate. HTTPS filtering capabilities are the little limited in case of the Android Nougat. One has to download older version of the YouTube to make enable it. For the devices having root access one can add a certificate to the system with help of the Move Certs app. 2. Clear App data In the further step you have to clear the data of the YouTube. To do it, you have make the simple setting in your android device. In ‘Application manager’ choose the option YouTube’ and tap the button ‘Clear data’. Adguard only Skip the ads when YouTube data is cleared. For the user having rooted access a low level setting is available. You can do it by simple setting as Setting-Advance-Low level setting-Find the preference root clear YouTube. It is simplest and easiest method to skip all those annoying videos disturbing you while watching video on YouTube. 2. Turn off Advertisement In Advertisement you will find one checkbox which having by default setting ‘Allow Advertisements to be displayed alongside my videos’. You have to simply ‘Uncheck’ that box and then all the ads from the videos will disappear automatically. These are some brilliant ways to block the Non-skippable as well as skippable ads from YouTube which may prove helpful for you. Many apps offers you to buy paid and premium membership but we have included only apps which are freely available in market. Do you know any other way to block YouTube ads? Let us know in comments.